SAN DIEGO (AP) — Italy’s Luna Rossa Challenge and fashion house Prada are back in the America’s Cup. The Italians announced Nov. 2 that their challenge for the 2013 America’s Cup has been accepted by the defending Golden Gate Yacht Club. The late challenge comes as the other teams are pre-paring for the third stop on the America’s Cup World Series in San Diego, Nov. 12-20. The Italians are expected to take delivery of their AC45 catamaran in December and begin competing next spring when the America’s Cup World Series comes to their home waters — in Naples in April, followed by a stop in Venice in May. With the addition of the Italians, there are eight international challengers for the Auld Mug, which will be defended in 2013 on San Francisco Bay by Oracle Racing. The challenge is headed by Patrizio Bertelli, Prada’s chief executive officer. Prada is providing $55.2 million in sponsorship. Luna Rossa’s backing yacht club is the Circolo della Vela Sicilia of Palermo. Luna Rossa — which means red moon — and Emirates Team New Zealand have signed a cooperation agreement that runs through Dec. 31, 2012 and includes full access to all of the Kiwis’ design and performance data. The hulls for Luna Rossa’s 72-foot catamaran will be built in Italy, and all other elements will be built in New Zealand, in cooperation with Team New Zealand. Luna Rossa brought both style and good sailing to the 2000 America’s Cup in Auckland, New Zealand. The Italians reached the America’s Cup match before being swept in five races by Team New Zealand. Luna Rossa will open a base in Auckland for joint training and boat development with the Kiwis. Craig Thompson, CEO of the America’s Cup Event Authority, said there has been plenty of talk from teams and sailors about the advantage that Oracle Racing has had in organizing the next Cup, “with their technology and level of sailors and everything. I think this really adds a new competitive ingredient to the America’s Cup. Oracle Racing, owned by software billionaire Larry Ellison, has been sailing two boats in the America’s Cup World Series. Bertelli established Luna Rossa in 1997 under the name Prada Challenge for the America’s Cup 2000. Luna Rossa also participated in 2003 and 2007. In 2007, the Italians reached the Louis Vuitton Cup final for challengers before losing 5-0 to Team New Zealand. 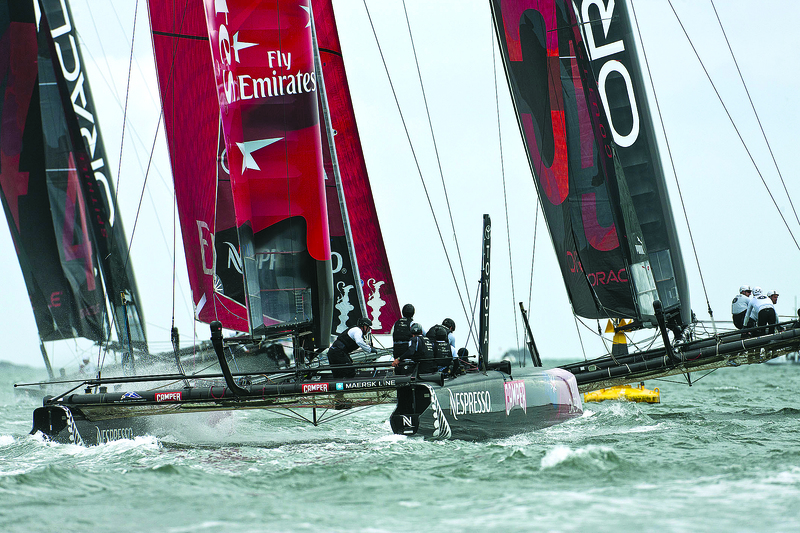 The Kiwis then were defeated 5-2 in the America’s Cup match by Alinghi of Switzerland. Team New Zealand won the America’s Cup in 1995 and 2000 before losing it in 2003 to Alinghi. Team New Zealand leads the America’s Cup World Series, which is being contested around the globe in wing-sail 45-foot catamarans. The 2013 Louis Vuitton Cup and America’s Cup match will be sailed in 72-foot cats.